For its first two weeks, Overwatch League settled into a predictable rhythm: top-tier teams Seoul Dynasty, New York Excelsior, and London Spitfire sat perched atop their perfect records while everybody else squabbled for scraps beneath the table. At the end of last week, those three teams were at a combined 12-0. This week, that tide finally began to turn. 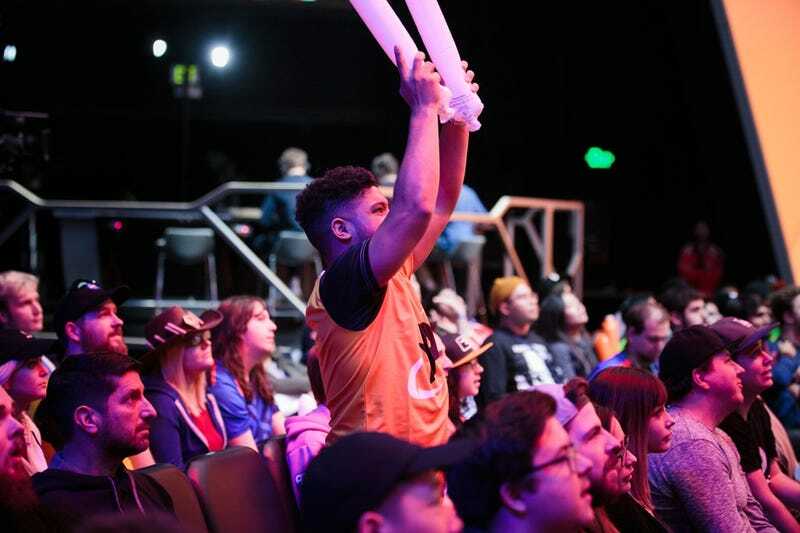 Yesterday, both London and New York suffered their first defeats of the season to Boston Uprising and Philadelphia Fusion, respectively—two decidedly middle-of-the-pack teams. It was some of the best professional Overwatch I’ve seen in months, and exactly what OWL needs after a string of 4-0 blowouts marked the season’s start. First, Boston, a roster made up of misfits from across the world, made London pay for its passivity on three of the match’s five maps. London’s players are more skilled, with absolute terrors like Ji-hyuk “Birdring” Kim lighting up their star-studded all-Korean roster, but aggression from Boston players like Yeong-jin “Gamsu” Noh and Jonathan “DreamKazper” Sanchez outweighed London’s talent. Boston still has a 2-3 record overall, but their win over London showed a very real path to success. And those two matches came on the heels of a surprising matchup in which the consensus worst team in the league, Shanghai Dragons, managed to take a map from the one remaining undefeated team, Seoul Dynasty. It wasn’t the tremendous upset yesterday’s marquee matches were, but it’s another indication that signs of parity are emerging. It makes sense, given that all these teams are playing and scrimming against each other on a regular basis, and it’s good news for viewers who were getting tired of games in which early frontrunners looked bored while coasting to victory. Will it be a blip before the doormats flatten out and the powerhouses reassert themselves? We’ll see in the coming weeks, but tonight will serve as another interesting measuring stick, with undefeated Seoul facing New York, its toughest opponent yet, and the somehow still 0-4 Dallas Fuel having a chance to finally get their first win of the season.